-Union Carbide CEO Warren Anderson, quoted in the January 21, 1985 issue of U.S. News & World Report. Despite Anderson’s attempts to paint the disaster as an accident, there is ample proof that it was entirely preventable if UCC had listened to the warnings. Despite the sizeable communities living around the factory’s periphery, between 1977 and 1984 the Union Carbide factory was licensed by the Madhya Pradesh state Government to manufacture phosgene, monomethlyamine, methyl isocyanate (MIC) and the pesticide Carbaryl, also known as Sevin. Long before the disaster of 1984, UCC knew there were major safety concerns to be considered, especially when producing MIC – and especially in a highly populated area such as Bhopal. But UCC ignored safety in return for bigger profits – and soon after the MIC production began in Bhopal, the tragedies also started. 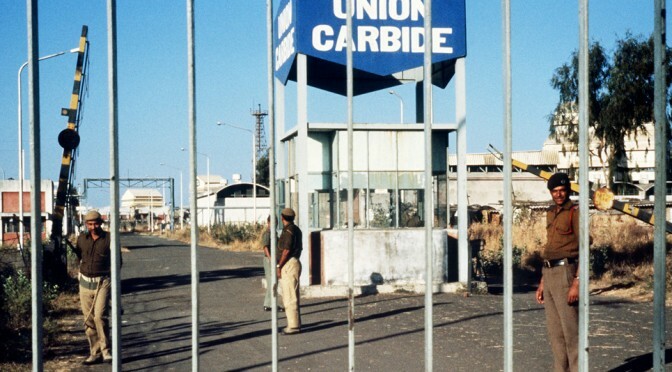 It should have come as no surprise to Carbide’s management when its factory began to pose a chronic threat to its own workers and to the people living nearby. On December 25, 1981, a leak of phosgene killed one worker, Ashraf Khan, at the plant and severely injured two others. On January 9, 1982, twenty five workers were hospitalized as a result of another leak at the plant. During a “safety week” proposed by management to address worker grievances about the Bhopal facility repeated incidents of toxic leakage took place and workers took the opportunity to complain directly to the American management officials present. In the wake of these incidents, workers at the plant demanded hazardous duty pay scales commensurate with the fact that they were required to handle hazardous substances. These requests were denied. In total, the safety audit team noted 61 hazards, at least 30 of which were major and 11 of which were specifically identified as hazards in the dangerous MIC/phosgene units. It had warned of a “higher potential for a serious incident or more serious consequences if an accident should occur.” Though the report was available to senior American officials of UCC, safety measures were not improved in Bhopal. Instead safety measures were implemented at UCC’s MIC plant in West Virginia. Keswani had interviewed worried staff at the Union Carbide factory. A worker had died in a MIC phosgene spill. Minor accidents happened routinely but were covered up. He wrote to politicians warning of the dangerous state of the factory, but nothing was done. After the leak, Keswani accused UCC of paying for the silence of the politicians. He published a dossier: Bhopal’s former Inspector General of Police was employed by UCC as its security advisor; UCC’s plush guest house was at the disposal of the ruling political party, with a suite reserved for the Chief Minister; the company gave jobs with titles like ‘Sports Advisor’ to sons and relatives of politicians and civil servants. According to Union Carbide’s internal documents, a major cost-cutting effort (including a reduction of 335 workers) was undertaken in 1983, saving the company $1.25 million that year. The “Bhopal Task Force,” an executive management team from the Danbury, Connecticut headquarters of Union Carbide, implemented the fatal cost-cutting spree at the plant. The crew of the MIC plant was reduced from 12 workers to 6, the maintenance crew in the same plant reduced from 6 workers to 2. Safety training for operators of the MIC plant was cut from 6 months to 15 days. In the control room, there was only one operator who was expected to monitor 70+ panels, indicators and controllers, many of which often failed. Between 1983-1984 the workforce was cut by half. Leaky valves and malfunctioning gauges were not replaced, and stainless steel piping was replaced with carbon steel – carbon pipes are more corrosive and were the probable source of the metal contaminants that entered MIC tank 610 and fuelled the speed of the exothermic reactions on the night of the disaster. Despite the fact that C.S. Tyson, author of a 1982 safety audit conducted by UCC, stated that “the demand is on the human out there – the [Bhopal] plant relies heavily on manual control and checking of levels” because the plant was built with rudimentary technology, the work force was still slashed, with half the workers gotten rid of between 1980 to 1984. 150 operatives were taken off their specific jobs and used instead as floating labor. The work crew for the MIC unit was cut in half from twelve to six workers. The period of safety-training for workers in the MIC unit was brought down from 6 months to 15 days. The position of Night Shift MIC supervisor was axed. Poor training, poor maintenance and poor design were all key factors in the disaster. In plants dealing with corrosive chemicals such as MIC, experts normally want fortnightly inspections of valves, pipes, and pumps, with new replacements every six months. In Bhopal inspections were rare and replacements often not made for up to two years. The highly dangerous plant was being operated by men who had little training, spoke no English but were expected to use English manuals, and whose safety fears were ignored by management. Morale was low. In case of repairs, the use of new parts was curtailed. Old ones must be recycled. Although MIC is a particularly reactive and deadly gas, the Union Carbide plant’s six safety systems were allowed to fall into disrepair. A private memo from Union Carbide Eastern’s headquarters in Hong Kong, boasts of having saved the $1.25 million because of these practices, but adds that “future savings would not be so easy.” There was nothing left to cut. Or was there? As per the instructions of the UCC safety manual, the huge tanks of MIC, each the size of a locomotive, had to be kept at zero degrees Celsius . MIC is so volatile it can even react with itself. Refrigerating it slows down dangerous reactions, buying time to deal with a problem. But as part of UCC’s economy drive, and an example of what a prosecuting attorney would later describe as “reckless, depraved indiference to human life,” between 1983 and 1984 the safety manuals were re-written to permit switching off the refrigeration unit and shutting down the vent gas scrubber when the plant was not in operation – even if excess MIC was still being stored in the tanks. Turning off the refrigeration unit only saved UCC about $37 a day on freon gas. Political opposition legislators raised the safety issues in the Madhya Pradesh State Assembly, and the clamor surrounding these incidents culminated in a 1983 motion that urged the state government to force the company to relocate the plant to a less-populated area. Nothing came of this. In February 1984, a safety audit of the UCC factory in West Virginia raised major concerns that a runaway reaction could occur in one of the MIC Unit storage tanks, and that there would be no way to prevent catastrophic failure of the tank if this reaction occurred. The warning was not passed on to Bhopal. In September 1984 an internal Union Carbide memo warned of a “runaway reaction that could cause a catastrophic failure of the storage tanks holding the poisonous [MIC] gas” at the Institute, West Virginia plant. The memo was released in January 1985 by U.S. Representative Henry Waxman (D-CA), Chairman of the House Health and the Environment Subcommittee. On November 29, 1984, an internal UCC report discussing the feasibility of dismantling the Bhopal plant and shipping it to Indonesia or Brazil was disseminated. Just three days later – the writing on the wall, the safety systems turned off – and the runaway reaction warned of came to fruition. All over Europe the maximum permissible storage limit for MIC is half a ton. At the Bhopal plant, the US company’s management overrode the wishes of its local managers and kept the storage capacity hazardously high, at some points storing over 90 tons. On the night of the disaster, 67 tons of MIC were stored in two tanks. Years after the disaster, in an affidavit given to a court in Manhattan, Eduard Muñoz, who had been Union Carbide’s Managing Director of UCIL, said that the UCC engineering group responsible for designing the Bhopal plant had recommended installation of three large tanks for storing MIC. 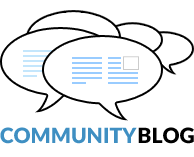 Muñoz had opposed the plan because “only token storage was necessary, preferably in small containers, based on economic and safety considerations.” Munoz was overruled, and three large tanks for MIC were installed. According to independent experts, like the Centre for Scientific & Industrial Research, the excessive volume of MIC stored in Bhopal was the most critical factor in the disaster.